Hi, my '03 Cruiser won't start this morning. I checked and got the P0552 code. Oil was low so I put a quart in. A couple weeks ago I noticed a milky substance under my car but didn't look into it even though I should have. When i checked the oil level, the same liquid was on the dipstick. Is this water/coolant mixing with the oil? Does it link to the P0552 code in any way? Going to disconnect the battery to try and clear the code. 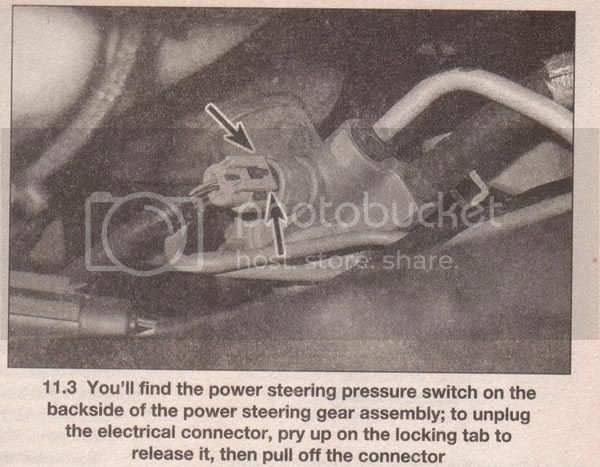 P0552 - Power Steering Pressure Sensor Circuit Low Input. This likely has little to do with milky-looking motor oil. This code could be related to the power steering sensor. You might try cleaning the connection contacts on it first. But it is possible to change it our yourself. And you should likely change the fluid when you do it. Among a few others, milky oil can be due to a blown head gasket or a leak in an water-cooled oil cooler. And I don't believe PT's have a water-cooled oil cooler unless some of the turbos do. Someone else will have to chime in on this. Does your PT overheat sometimes? Or has it overheated in the recent past? And do you seem to loose coolant over time? Last edited by Handy_Cruiser; 27 Jan 2014 at 09:26 am. Lots of short trips and engine does not warm to normal? Water. Is your coolant low? Coolant? Have your oil analyzed to determine condition and look for wear. Check PCV. Last edited by Gold2006; 27 Jan 2014 at 09:29 am. Temp gauge never makes it to middle. Even after driving 35 miles one way to work on the interstate. This didn't start until after i changed the coolant in the fall. I do have to add coolant once in a while, not a lot though. My pt uses no coolant. So likely coolant in oil. Oil analysis can verify and determine if gasket needs to be changed and engine wear/corrosion. I've got the oil sampling and analysis kit if you'd like. bjag; I'd change the PCV valve first and check/wash the little filter in the air cleaner box. And check the hoses. Just like Gold said, ---- and a little further.